In 1984, Congresswoman Geraldine Ferraro secured the nomination as the first woman vice presidential candidate on a major party ticket. Representative Ferraro’s pragmatism and political skill, coupled with her close relationships with top Washington Democrats, allowed her rapid climb up the House leadership ladder. While serving in Congress, Ferraro was able to pursue a liberal, feminist agenda without ignoring the concerns of her conservative district or alienating her mostly male colleagues. One of Ferraro’s greatest challenges in Congress was balancing her own liberal views with the conservative values of her constituents. Especially in her first two terms, she remained mindful of the needs of the citizens in her district. Assigned to the Post Office and Civil Service Committee for the 96th and 97th Congresses (1979–1983), Ferraro earned a spot on the Public Works and Transportation Committee in 1981.13 When appointed to the Select Committee on Aging in 1979, a post she held until 1985, she organized a forum in her district to discuss problems concerning housing, medical aid, and social support systems for the New York elderly.14 In deference to the sentiments in her district, Ferraro voted in favor of some conservative legislation, such as a proposed constitutional amendment banning mandatory busing for school desegregation, tuition tax credits for private schools, and school prayer.15 Early in her career, she supported a strong national defense posture.16 Ferraro later broke from the Democratic Party leadership when she voted against a 1982 tax increase. After the defeat, Geraldine Ferraro returned to practicing law. She served as a fellow at the Harvard Institute of Politics from 1988 until 1992. In addition, she authored three books about her political career. Ferraro re–entered electoral politics when she ran for the U.S. Senate in 1992 and 1998. After failing to secure the Democratic Party’s nomination in both unsuccessful campaigns, Ferraro vowed to never run again for public office. In 1993, President William J. Clinton appointed her to the United Nations Human Rights Convention in Geneva, Switzerland. Ferraro also was appointed vice chair of the U.S. Delegation to the Fourth World Conference on Women, held in Beijing in September, 1995.36 She later worked as president of a global management consulting firm, and as a television analyst and syndicated columnist. After being diagnosed with multiple myeloma, a dangerous form of blood cancer, in 1998, Ferraro spoke publicly about her illness and her use of the drug Thalidomide to treat her condition. In a plea for continued research on Thalidomide’s effects on her illness, she testified at a June 2001 Senate hearing. Using herself as an exhibit, she stated, “I look great, and I feel great, and it’s what early diagnosis and research can do.”37 Ferraro succumbed to the disease after a 12–year battle, and passed away on March 26, 2011, at Massachusetts General Hospital in Boston. 1“A Team Player: Can a Liberal from Archie Bunker Country Make a Contender of Walter Mondale?” 23 July 1984, Newsweek. 2“Congresswoman Ferraro: A Career of Rising from Nowhere,” 13 July 1984, Christian Science Monitor: 1. 3Elisabeth Bumiller, “The Rise of Geraldine Ferraro,” 29 April 1984, Washington Post: K1. 5Current Biography, 1984, (New York: H.W. Wilson and Company, 1984): 119. 7Almanac of American Politics, 1984 (Washington, D.C.: National Journal Inc., 1983): 805–806. 11Current Biography, 1984; John E. Farrell, Tip O’Neill and the Democratic Century (Boston: Little, Brown and Company, 2001): 644; “Woman in the News: Liberal Democrat from Queens,” 13 July 1984, New York Times: A1. 12“Election Statistics, 1920 to Present,” http://clerk.house.gov/member_info/electionInfo/index.aspx. 14Garrison Nelson et al., Committees in the U.S. Congress, 1947–1992 (Washington, D.C.: Congressional Quarterly Inc., 1993): 293–294; Barbara Delatiner, “On the Isle,” 23 Nov. 1980, New York Times: LI26. 16Hedrick Smith, “Consistent Liberal Record in the House,” 13 July 1984, New York Times: A10; Current Biography, 1984: 120. 21Quoted in Current Biography, 1984: 120. Chris Matthews, then an aide to Speaker O’Neill, reiterated Frank’s sentiments, writing in his 1988 book, Hardball, that the secret to Ferraro’s success was that, “she asked; she received; she became a player.” Chris Matthews, Hardball: How Politics Is Played, Told By One Who Knows the Game (New York: Perennial Library, 1988): 72. 24“Is This the Year for a Woman VP?” 27 March 1984, Christian Science Monitor: 18. 27Frank Lynn, “Carey’s Tactics Cut His Power at Convention,” 10 August 1980, New York Times: 33. 29Bill Peterson and Alison Muscatine, “Pressure Increasing for Woman on Ticket,” 19 June 1984, Washington Post: A6; Current Biography, 1984: 119. 31Although Ferraro made history by becoming the first woman selected as the vice presidential nominee for a major party, President Gerald R. Ford considered two women as his Republican running mate in 1976: Anne Armstrong and Carla Hills. See Joseph Kraft, “Mr. Ford’s Choice,” 8 August 1976, Washington Post: 37; R.W. Apple, Jr., “President Favors a Running Mate in the Middle of the Road,” 9 August 1976, New York Times: 1. 32Farrell, Tip O’Neill and the Democratic Century: 644. 34Thomas O’Neill and William Novak, Man of the House: The Life and Times of Speaker Tip O’Neill, (Boston: G.K. Hall, 1987): 358; see Joan A. Lowry, Pat Schroeder: A Woman of the House (Albuquerque, NM: University of New Mexico Press, 2003): 133–134. 35Ralph Blumenthal, “Judge Sentences Zaccaro to Work in Public Service,” 21 February 1985, New York Times: A1. 36Ralph Blumenthal, “Geraldine Ferraro to Speak at CWRU’s 2003 commencement convocation” available at http://www.cwru.edu/ pubaff/univcomm/2002/11–02/ferraro.htm (accessed 30 March 2004). 37“Ferraro Is Battling Blood Cancer with a Potent Ally: Thalidomide” 19 June 2001, New York Times. Papers: 1979-1988, 104.5 linear feet. The Geraldine Ferraro materials consist primarily of papers but also include published articles, books, photographs, recordings (audio- and videotape and vinyl), and three-dimensional objects. The papers were generated in the course of campaigning, on the floor of Congress, and in Ferraro's offices in Washington and her home district of Queens. Unique to the collection is the correspondence from around the nation and world sent during the vice presidential campaign. Papers: 1984, 0.25 linear foot. Memorabilia from Geraldine Ferraro's Dallas visit during her 1984 campaign for Vice President of the United States. Videocassettes: 1984, 2 commercials on 2 videocassettes. 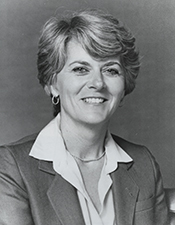 The commercials were used during Geraldine Ferraro's campaign as vice presidential candidate on the Mondale presidential ticket in 1984, Democratic party. Baaske, Kevin Timothy. The Rhetoric of Character Legitimation: Geraldine A. Ferraro and the 1984 Vice-Presidential Campaign." Ph.D. diss., University of Southern California, 1989. Breslin, Rosemary and Joshua Hammer. Gerry! : A Woman Making History. Introduction by Gloria Steinem. New York: Pinnacle Books, 1984. Elmes-Crahall, Jane Matilda. Gender as Exigence: A Situational Analysis of the 1984 Vice-Presidential Campaign of Geraldine Ferraro. Ph.D. diss., University of Pittsburgh, 1991. Ferraro, Geraldine A. Changing History: Women, Power, and Politics. Introduction by Ann Richards. Wakefield, RI: Moyer Bell, Distributed by Publishers Group West, 1993. ___. Changing History: Writings on Current Affairs. Mount Kisco, N.Y.: Moyer Bell, 1992. Ferraro, Geraldine A., and Catherine Whitney. Framing a Life. New York: Scribner, 1998. Ferraro, Geraldine A., with Linda Bird Francke. Ferraro: My Story. New York: Bantam Books, 1985. ___. Ferraro: My Story. New Edition. Foreword by Marie C. Wilson. Evanston, IL: Northwestern University Press, 2004. "Geraldine Anne Ferraro" in Women in Congress, 1917-2006. Prepared under the direction of the Committee on House Administration by the Office of History & Preservation, U.S. House of Representatives. Washington: Government Printing Office, 2006. Katz, Lee Michael. My Name is Geraldine Ferraro: An Unauthorized Biography. New York: New American Library, 1984. Lewandowski, Monica A. "A Credible Candidate: The Campaign Oratory of Geraldine A. Ferraro." Ph.D. diss., Indiana University, 1987. Uhlenkott, Linda Anne. "Women's Voices in Congress: The Rhetoric of Geraldine Ferraro, Pat Schroeder and Barbara Boxer. Ph.D. diss., University of Nevada, Reno, 1996. U.S. Congress. House. In the matter of Representative Geraldine A. Ferraro: Report of the Committee on Standards of Official Conduct together with dissenting views. Washington: Government Printing Office, 1984.